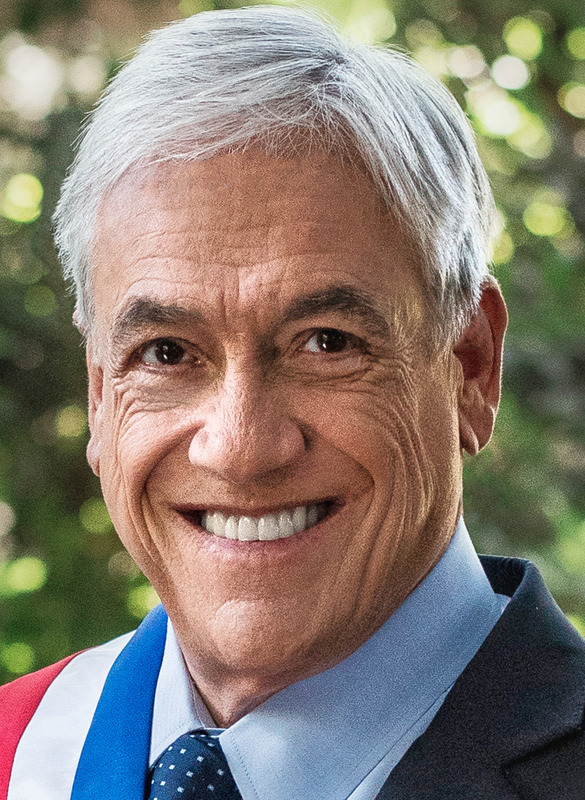 Piñera was born in Santiago, Chile to Magdalena Echenique Rozas and José Piñera Carvallo, an engineer who worked for CORFO and was Chile's ambassador to Belgium and to the United Nations. He is the third man of a family of four brothers and two sisters: Guadalupe, José Piñera (a former Minister of Labour under Augusto Pinochet), Pablo, Sebastián, Miguel (a singer) and Magdalena. He has an undergraduate degree in Economics from Chile's Catholic University as well as a Master's and Ph.D. in this subject from Harvard University. He is married to Cecilia Morel Montes and has four children: Magdalena, Cecilia, Sebastián and Cristóbal. On June 2008, Piñera underwent blepharoplasty on both upper and lower eyelids. He justified the operation purely on medical grounds, arguing he was slowly losing his peripheral vision, necessary for piloting aircraft. Piñera owns 100% of Chilevisión, a Chilean terrestrial television channel broadcasting nationwide; 27% of Lan Airlines (LAN), 13% of Colo-Colo, a football (soccer) club; and has important participation in companies like Quiñenco, Enersis, Soquimich, etc. He is constantly buying and selling shares in the Chilean stock market. According to Forbes magazine, Piñera is a billionaire (his fortune is estimated at US$1.3 billion). His wealth is attributed in great part to his involvement in the introduction of credit cards to Chile in the late 1970s and his subsequent investments mainly in stock of LAN, a former state-owned company that he bought in 1994, together with the Cueto family. On July 2007 Piñera was fined approximately US$680,000 by Chile's securities regulator (SVS) for insider trading of LAN Airlines stock in mid-2006. Piñera denied any wrongdoing, and argued that the whole process was part of a political attack to damage his image. He did not appeal arguing that the court process could take years and interfere with his intention to run again for president in late 2009. Later that month he resigned from the boards of LAN and Quintec. Piñera voted "No" in the 1988 plebiscite against Augusto Pinochet. In 1989 he headed the presidential campaign of Hernán Büchi, a former finance minister of the Pinochet government. During the same election process, Piñera was elected as Senator (1990–1998) and soon after joined the center-right National Renewal party. During his term in the senate he was a member of the Senate Finance Committee. On May 14, 2005 Piñera surprisingly announced his own candidacy for the 2005 presidential election. He described his political philosophy as Christian humanism. If elected, he would have become the first billionaire to hold office as head of state. In the first round of the election, on December 11, he obtained 25.4% of the vote, which placed him in second place. Since no candidate achieved an absolute majority, a runoff election was held on January 15, 2006, between himself and Michelle Bachelet of the governing coalition. Bachelet won the presidency with over 53% of the vote.